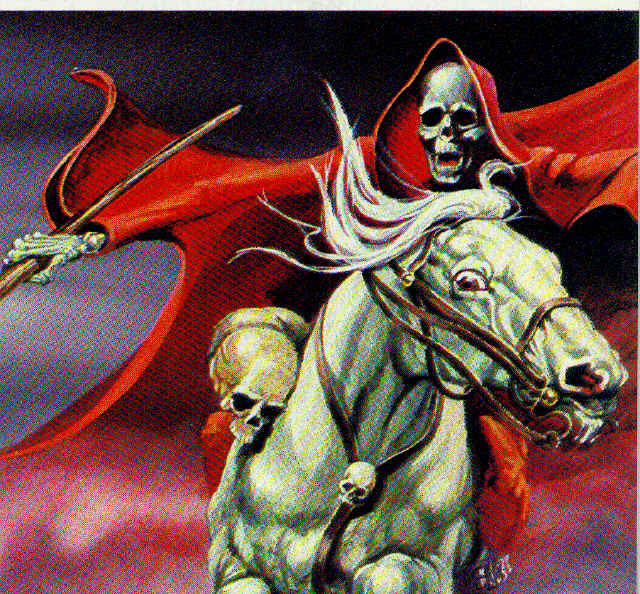 Pinterest: Horseman Of Social Media Marketing Zombie Apocalypse? While out running recently, I let this thought tumble about in my head: Is it possible to keep the “social” in social media without sacrificing brand integrity? In other words, can a buttoned-down conservative business or organization keep its well-heeled reputation while trading punches with the T-shirt wearing gang that trades barbs and casual conversations in the social media world? Which somehow led me down a path to a strange conclusion that Pinterest might just be the third horseman of the social media marketing zombie apocalypse — the first two being Facebook and Twitter. I’d like to think that YouTube is only a horseman’s page and not full-fledged foreteller of the end times, but you never know. It is one of the top search engines and especially important for the folks searching the “how-to” network. Similar things can be said for upstart Instagram; it’s in the arena, but not quite ready for the joust. But who knows. CHANNELING: The commonly accepted practice for many online marketing is to use various social media channels to guide readers back to the mother ship, which is where the money is made. The home page is key to commerce with its pop-up ads, banners, shopping carts, inventory lists and assorted other goodies. Along the way, they also hope to load your Web browser with enough spiders and cookies to give an 8-year-old a stomach ache and keep your email basket filled with custom-designed offers. LANCELOT LINK: Getting consumers to the homepage is usually done by supplying links to the mother ship inside of all your postings, regardless of your choice of social media. Facebook is particularly useful for this. I think this is probably the equivalent of the Christian apocalyptic vision of conquest. Who doesn’t like a good Facebook page? It’s easy enough to set up a business page and then link the heck out of your ever-changing content. Throw in a contest or sweepstakes and you’ve got Internet gold. Twitter is trickier. The demographic skews very young, and it’s a little tougher to drive traffic to the mother ship. Most Twitter followers are under 30. I hesitate to call them Millennials or Gen OMG-ers, so given their habit for doing everything on their cellphones or tablets, I think of them more as the “Smart” generation. And the Holy Grail for marketers is pushing things to their mobile devices. U R So Smart: Twitter in my simple mind works essentially like this. If you have a big event, say #SuperBowl or #BCS, you can attract quite a crowd of followers but mainly in the moment. Say you’re watching a favorite sports team and you follow a certain associated hash tag, you’re bound to stumble into some lively chit chat. The other big winners on Twitter are celebrities. 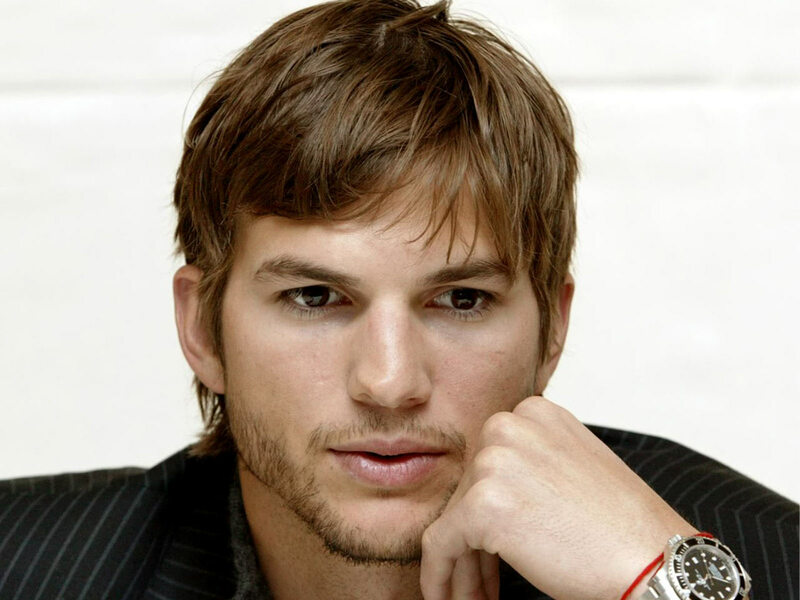 Just for the sake of this blog post I looked up Ashton Kutcher and his site had 13.4 million followers. Remind me to @aplusk this post so I can get some more PV’s. So we all want to jump on the trolleyand get pulled along by the momentum of a trending hash tag or celebrity tweet. During the course of the BCS title game, Katherine Webb became a Twitter darling when her account went from a few thousand to 271K today. You see a lot of random stretches of logic by marketers trying to hop a ride on the Twitter train. Random note to decision makers: If your Facebook posts are merely copies of lengthy stories you have on your homepage, chances are you’re not even in the social media game. And why should anybody click on your link if you’re giving the information away for free on Facebook? Early on in Web page building, people decided that the Internet had endless space, so it would be a perfect place to fill with all those lengthy stories, extra materials and extended video clips. And to some extent, it still is. But the successful sites are the ones that cater to short attention spans. Two minutes of video can be an eternity, unless you’re streaming entire shows. But even those are mainly entertainment-based (think reruns of “The Office). Pinterest Scared The P Out Of You Yet: So you’ve got Twitter and Facebook covered, but along comes Pinterest. Here’s a little secret about online video versus slideshows that a lot of decision makers don’t want you to know. It’s no contest. Stats show that on an average website, people would rather click through a slideshow. The conundrum is it’s much easier to slap an ad roll on the front of a video and collect the clicks and go sell the space/time based on those numbers, than it is to track results of a slideshow. Doing the same for slideshows is more difficult. Say you frame your slideshow with an ad, you don’t get to count a view with every click of the slideshow. Yet statistics show that image galleries and slideshows dwarf the number of page views that videos receive. So Pinterest provides a target-rich environment for marketers. It’s helpful. It’s interactive. It’s dynamic. It’s interesting. And it’s full of potential. Perhaps, whoever learns to harness the energy of Pinterest will win the war of social media marketing. You can feel this horseman starting to mount his trusty steed. A Pale Horse: Death is the final horseman of the apocalypse and on a pale horse he rides. Hopefully, we’re a long way from seeing this harbinger of the end times, or even the social media marketing zombie apocalypse. This entry was posted on January 17, 2013 at 7:33 pm and is filed under Computers, Facebook, LinkedIn, Milennial, Pinterst, Social Media, Twitter. You can follow any responses to this entry through the RSS 2.0 feed. You can leave a response, or trackback from your own site. 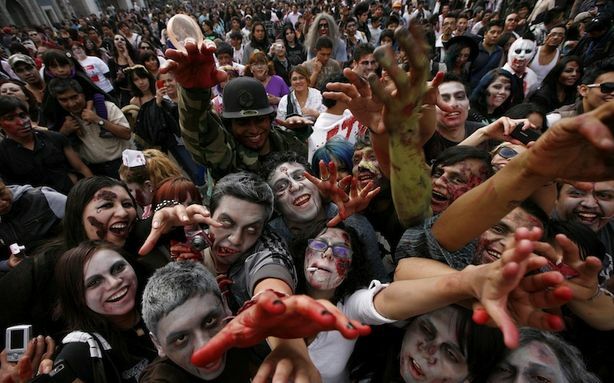 Pinterest and Zombies: You can’t go wrong!